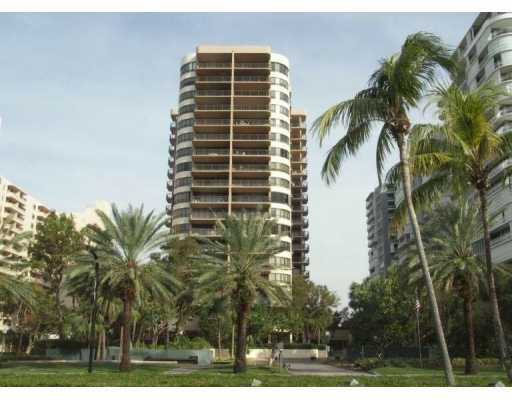 The Tiffany Bal Harbour boasts 135 units spread across its 18 stories. Units range from 2, 3 and 4 bedrooms and from 1,957 square feet to 3,934 square feet. While the property enjoys an incredible location, it also provides some of the best amenities in the city. The heated outdoor pool allows you to enjoy aquatic adventures any time of the year, while the sauna and steam rooms provide you with the relaxation that you want. In addition, you will enjoy the immediate access to the stunning beach and the pristine ocean waters. Head to the clubhouse for gatherings and meetings, or visit the full service fitness center to blow off a little steam. In addition, the billiard room is a great place for a friendly game, while the spa is the preeminent place to relax on property. Spacious balconies in every unit give you great views of the water and the city, while the luxury appointments in the unit provide you with beauty, functionality and relaxation. High ceilings, spectacular views and spacious rooms are the rule throughout every unit. In addition, the kitchen offers you state of the art appliances, as well as designer countertops and cabinets. The bathrooms are also designed with comfort and luxury in mind and feature the best of modern construction. Covered parking will keep you dry and cool when getting into and out of your car, while the concierge service is a nice touch, as well. This full service property attempts to exceed expectations in order to ensure that their owners are more than happy with their stay in Bal Harbour. The Tiffany is one of the best choices for those who seek luxury living in the heart of a world-class city like Bal Harbour, as well as immediate access to incredible destinations like South Beach.